Receive a Private Consultation from a certified consultant* to know your personal team of angels and have two-way communication with them. Clarify if you predominately hear, see, feel or receive an inner knowing from your spiritual helpers. Ask your own questions and receive answers directly from your angels. This private session is part of a special package with four in-depth workshops to practice additional techniques and regroup your progress. You learn to maintain your energy clear and high so you are communicating consciously with your angels – workshop #1 and #2. In workshop #3 and #4, you then work with your team of angels to clarify your purpose, how much you are living it already and how to be more in your niche. By practicing with your angels in the four workshops and between these programs at home, work, etc., you make it a habit of connecting with your spiritual guidance and living the life you are here to experience. Tune up your energy and work individually with a certified consultant*. You learn key information about your personal team of angels and the particular way you communicate with them (inner hearing, seeing, knowing, feeling). Then practice asking your questions and receiving answers from your angels. What a difference it makes when you experience this conscious connection with your spiritual helpers. Practice attuning to your angels and spiritual cleansing techniques. Delve into a bigger picture of the Real You, your inner guidance or angels and your life on planet earth and beyond. Know this from your own experiences rather than a dogma or from someone else’s beliefs. Practice techniques like intuitive impressions to communicate with your spiritual helpers. Workshop #2: Length is 2 1/2 hrs and this is held approximately one week after the first workshop. The date/time is set at the end of workshop #1. E-mail or call for details. Spiritually cleanse your environment and practice different ways to communicate with your angels depending on the situation at hand and the way you connect within (inner seeing, feeling, knowing, hearing). Learn to balance your thinking and feeling natures to clarify and live your dreams and inner desires. Practice deeper techniques to communicate with your angels. You will find the ways that work best for you. Regroup life experiences to gain the most for the time you spend on earth. Communicate with your angels to clarify your life purpose. Discover specifics about where you are now and how you can be in your niche and experience greater fulfillment. 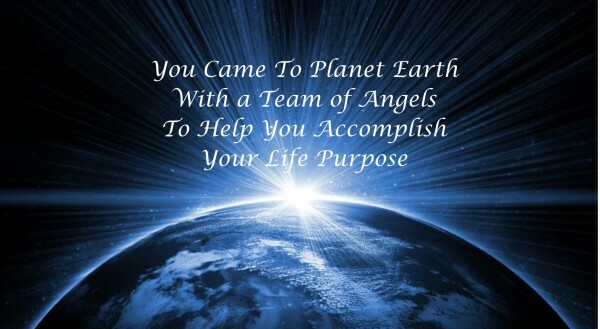 Find out from each of your angels how they help you with your life purpose. Bring together what you have learned in the previous three workshops to consolidate your material and spiritual life. Make clear angel communication and living in your niche a way of living. Each of the four workshops includes a detailed workbook. This way, you can reivew and practice what was done in the workshop after the program. Workshops are recorded if you miss any. Note: Once you click on a “Buy Now” button, you will be taken to the secure Pay Pal website for entering and processing all financial information. You can pay with Pay Pal or you will see “Pay with Credit Card or Debit Card” at the bottom of the page. Reserve your seat in the upcoming program. Call for details on parking or mass transit. * Consultants are trained and certified by the Wayshowers College to maintain consistent and high standards.